Who was thinking the Fruit Logistica in Berlin was only a trade show for fruits and vegetables, Bosman van Zaal is proving wrong. At that trade show, Bosman Van Zaal met AZ Rose, amongst others, a rose oil producer from Azerbaijan. 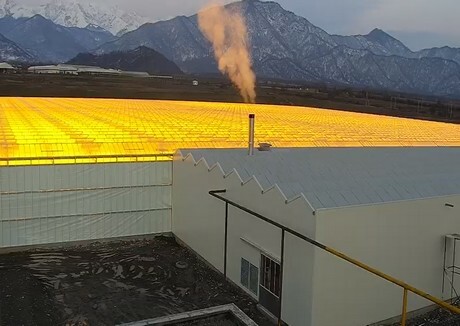 Now, less than a couple of years later the first roses have been planted in the greenhouse they build in Gabala, Azerbaijan. 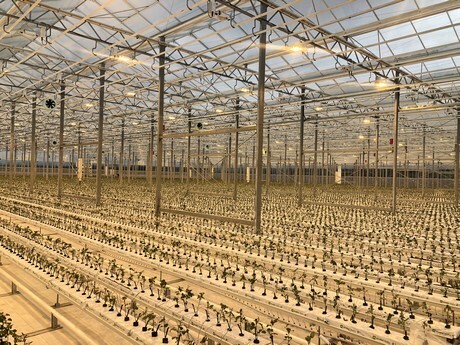 The total complex will be 6.3 hectares in size and has an annual production capacity of 190 to 210 stems per m². 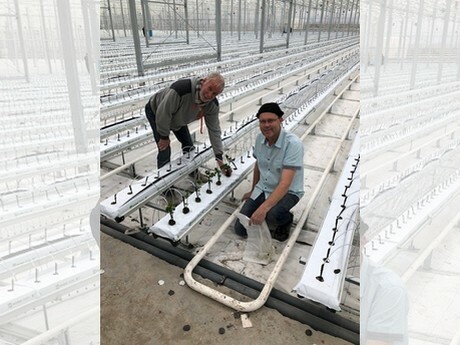 Robert Leon Pol from the Netherlands is the senior grower for this project. At the left Evert Gelderman, who is the construction supervisor. “The crop is illuminated with 149 micromoles / m2 / sec. 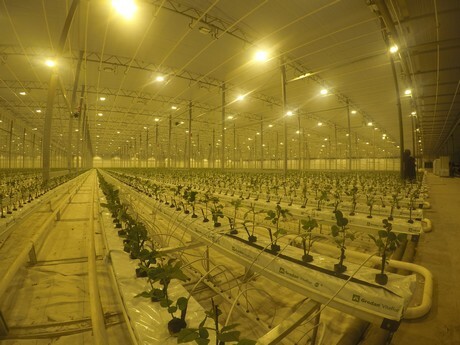 The lighting system generates light and heat, so the temperature of the heating tubes decreases as soon as the lighting switches on. To avoid cold gables and sidewalls Bosman Van Zaal installed separate heating systems with separate control and measurement. AZ Rose also produces roses outside, but in the greenhouse they will grow some special varieties. Most of the rose oil will be exported to Russia and Georgia. “Therefore, the location is perfect, as those are Azerbaijan’s neighbor countries. I think the production of roses has huge opportunities in Azerbaijan”, says Rob.